To kick off the New Year, we visited a new venue, Hebditch’s Pond and the weather was hideous with strong winds and driving rain. I tried to catch short and it just didn’t happen, after two hours I was the only person still blanking! I plumbed up a new line at ten metres and caught well for the second half of the match, finishing with 12 carp for 31lb 15oz and nowhere as 51lb was last in the money. Fieldy caught all day to win comfortably with 80lb 6oz from peg 4. After more torrential rain we were back at Dillington for round five of the V.E.S. Precision League and I drew peg 18 again, I’ve had a lovely day catching some quality roach and rudd to weigh 11lb 6oz and record my first win of the year. We actually managed to get back on the river for my third match of the year, I drew 129 again which I was happy enough with. It was slow going for the first half of the match though but then after four hours I’ve had two big chub in two chucks before catching a few roach for 11lb 4oz which was enough for third on the day. Rob Cox won from 128 with a lovely bag of chub and roach weighing 26lb 10oz. For the penultimate V.E.S. Precision match we were back on the pond and I was fairly happy with peg 4 but despite catching all day I just couldn’t catch any quality and ended up with 102 fish for 8lb 8oz and a section win. Tackleuk’s Ashley Tomkins won on the day with 12lb 2oz, just ahead of Bruce Hunt with 12lb. We were back on the pond for the final match of the month and I drew peg 10 with the wind in my face and struggled all day for 3lb 14oz, I just couldn’t get bites and it was definitely a day to forget. Ashley won his second match on the trot with 13lb 6oz from peg 17, Scott was second with 10lb 8oz from peg 8 and Fieldy was third with 9lb 1oz. Highlights – A lovely day at Dillington and my first win of the year. Yet more rain meant the pond was our destination for the open match and despite the pond being chocolate coloured I still expected it to fish well. I couldn’t have been more wrong, I had three bites in the first hour, then nothing for four hours before catching four fish in the last half an hour. My five fish weighed 1lb 5oz which was enough for third place! Gordon Aplin won with 1lb 15oz and Bruce Hunt was second with 1lb 7oz. 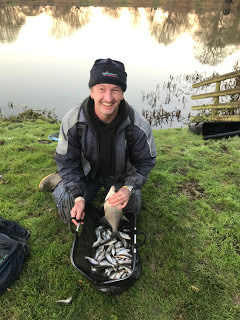 The second match of the month was back on the pond, I drew peg 14 on the bottom bank and had a fantastic days fishing catching quality roach, rudd, perch and a bonus 4lb 2oz bream for 19lb 12oz and my second win of the year. I did lose a good bream which was the only downside to the day. Graham Field won the Royal Oak League. For the last match of the V.E.S. Precision league we were back on the river and I got just the start I wanted when I pulled H1 at Hambridge out of the hat, the wind was horrendous and when I weighed 7lb 8oz I thought I’d ‘blown’ (if you’ll excuse the pun!) my chances of second in the league as I needed to beat Heardy who was on peg 129. He’d struggled too and his 6lb 2oz meant I’d won the section by double default and finished second in the league picking up £75 in total, which was a nice. Baz Morgan won on the day with 12lb 9oz which included a big chub and a lovely 2lb perch. Barney’s Pairs Open was the last match of the month and I drew a flier at Harrys pond (peg 4) but didn’t draw so well for my partner Justin (peg 10). I’ve caught well all day to finish with 47 carp for 69lb 4oz to win the section and lake, Ash and Alex Murray won with a perfect two point score followed by Martin and Bruce with three points, there was then a five way tie on six points but we got the verdict thanks to a superior weight advantage and picked up £35 each and I also won the £55 superpool so a very nice day. Lowlights – Losing that bream! 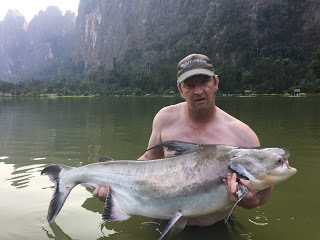 I then headed out to Thailand for four days fishing at Exotic Fishing Thailand before going to Ao Nang for five days of relaxing and partying! EFT was lovely and I had 17 fish of 9 different species including several new species and personal bests. 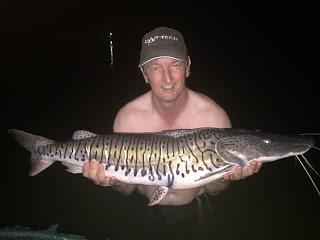 The highlights were a Tiger Shovelnose catfish, a Chao Phraya catfish and a Salween Rita catfish along with a 120lb arapaima on the last night with five minutes to go. 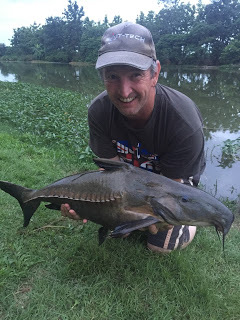 After the highs of Thailand it was back on the river and down to Earth with a resounding bump with a blank! 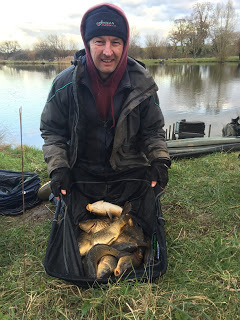 Bruce Hunt only needed 4lb 2oz for an easy win over Steve Hurford who was second with just 9oz! A busy weekend followed with a trip to The Big One on Saturday which was great and then my first match at Summerhayes for a long while, I drew peg 38 and feared the worst but on what turned out to be a tough day, my 5lb 15oz of skimmers was enough for second in the silvers. A rare mid week match and I was back at Summerhayes, after getting stuck in traffic I was running late so Pete drew for me and pulled out number 18, a great silvers peg and next door to where Adie won on Sunday. I had a lovely day catching skimmers and crucian carp to weigh 15lb 10oz for my first silvers win of the year. I was back at Harry’s Pond for the next match and caught carp steadily all day to win my fourth match of the year with 61 carp for 94lb 9oz. My last match of the month was at Summerhayes on Longs on the Bank Holiday Monday, the weather was awful again but I managed 9lb 3oz of skimmers and tench for third in the silvers and my fourth envelope on the trot. It was back on Longs again and I was really looking forward to it after three decent silvers results and the weather was lovely too! I should have known better, I drew peg 10 which I was fairly happy with but struggled from start to finish and weighed 4lb 15oz of silvers for nowhere. Ads Palmer won from peg 34 with over 44lb and Adie Bishop took the silvers verdict with just over 10lb. The next match was on Longs again but this time we had to contend with strong winds again, I drew peg 3 which isn’t a great silvers peg and struggled for 3lb 11oz of silvers and 15lb 13oz of carp for nowhere. Steve Kedge had the top weight with 75lb 1oz of carp on meat from peg 35 and Ray Wickham won the silvers with 15lb 4oz of skimmers from peg 12. Longs again the following week but peg 8 wasn’t the result I hoped for when I stuck my hand in the bucket, I had a good first half of the match, catching some nice crucians and skimmers but struggled in the second half and my 8lb 14oz got me nowhere with Glynn winning the silvers off the same peg his Dad did the week before. Steve Kedge once again proved his class with another victory, this time with 66lb 11oz from peg 23. My final match of the month was back at Summerhayes but this time spread over Sellicks and Lily, I drew peg 20 on Sellicks and it was also the golden peg, I didn’t think I’d be able to compete with Lily but I’ve had a lovely days fishing catching two nice crucians, five decent skimmers plus some smaller ones for 11lb 7oz which was the top silvers weight over both lakes and I picked up £32 for the lake silvers win and £75 from the golden ball fund, a lovely day. Lowlights – The previous three matches! The first match of the month was back on Sellicks and Lily again and I drew the same peg as last week, peg 20 on Sellicks, it was hard going this time around but I had a nice crucian, two good skimmers plus a few bits for 4lb 13oz and first in the silvers again, this time picking up a very nice £70. The following day it was on Longs and I’ve drawn a decent silvers peg but struggled for 17lb of carp and 3lb 10oz of silvers for nowhere, I gave Glynn his pound back from yesterday but had £2 off Rob Kingston to compensate. Another double header the following weekend got off to great start at Harry’s pond where I fished shallow and had 48 carp for 65lb 7oz, second place and £40. Jake Woodard caught all day for a comfortable win with 97lb 12oz from peg 1. The next day we were on Sellicks and I was very happy with peg 2 but struggled all day for just 1lb 7oz of silvers and plenty of foul hooked carp! 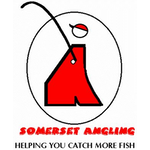 I was really looking forward to the first match of the Summer League at Dillington but bright sunshine and 18 anglers fishing was always going to have an impact. There were still some great weights with Alvin Jones winning with 22lb 6oz of bream and skimmers and Ashley Tomkins second with 16lb 6oz of quality roach, rudd and chublets. I drew peg 24 and had 5lb 15oz for a double default section win and £20. We were back for round two at Dillington the following week and I drew the same peg as last week, I caught well for most of the match but got ‘fluffed’ out in the last hour and my 9lb 8oz put me last but one in the section. Hurf won the section by double default with 9lb 13oz so it was close, the pond fished it’s head off with Ashley Tomkins leading the way with 22lb 15oz of quality roach and rudd caught shallow, Jake Woodard was second with 20lb 1oz of skimmers on the feeder and Alvin Jones was third with 19lb 14oz of bream and skimmers. My last match of the month was back at Summerhayes on Sellicks and it was hard going but two nice crucians and a few skimmers for 7lb 7oz saw me just nick the silvers verdict for a nice £80 envelope and take a pound off Glynn who was second with 7lb 2oz. Lowlights – Drawing peg 24 twice! June kicked off with round three of the Summer League at Dillington and I managed to avoid drawing peg 24 again (only because it wasn’t in!) and ended up on peg 8 on the far side, I’ve caught all day but not enough quality to finish with 133 fish for 11lb 10oz and a section win. 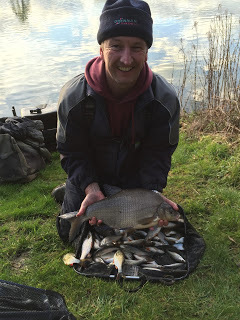 John Dursley won with 17lb 8oz of bream and skimmers on the feeder from peg 10. The next match at Summerhayes was on Sellicks with a few pegs on Willow for a change, I drew peg 20 on Sellicks again and was happy with that although the silvers winner was fancied to come from Willow. That’s how things panned out when Glynn Wickham had 10lb 6oz from peg 13, the overall winner also came from Willow with Paul Homewood weighing an impressive 130lb 11oz from peg 1 for a comfortable victory. I managed third in the silvers with a tench, a crucian plus a few skimmers for 6lb 7oz with Roger Russell just pipping me with 6lb 9oz. Back at Dillington and peg 4, I had a brilliant first hour when I had a good skimmer, a lovely little tench, a hybrid, a decent rudd plus quite a few roach for probably around 4-5lb, but I spent too long trying to catch shallow and I just couldn’t make it work. I ended up with 10lb 6oz to win the section. Jake Woodard won from peg 2 with a lovely net of bream and skimmers weighing 25lb 14oz from peg 2 on the feeder and Ashley Tomkins was second with 23lb of quality roach and rudd on the pole and caster. The last match of the month was on Longs and I drew peg 38 again, I had plenty of bites, ending up with 60 fish but only had four proper skimmers and a crucian for 10lb 15oz, which was joint third in the silvers with Jeff Sparks and we had to share £16. Bob Gullick had the top weight with 126lb 14oz and Nigel Wickham topped the silvers with 16lb 10oz. Lowlights – Not getting it right at Dillington! 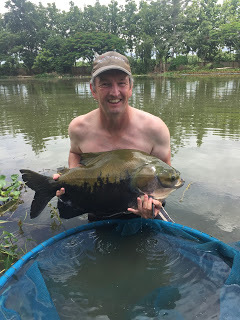 Then it was back to Thailand for nearly three weeks and this time I travelled about a bit, starting in Ao Nang before heading to Udon Thani and ending the trip in Chang Mai where I stayed at the lovely Teak Tree lake, I had five days fishing booked and some days to look around. I caught loads of fish including eight new species and several personal bests and Bruce and his lovely wife Noon looked after us very well and we packed loads in, hill tribes, elephants, tigers and temples, another fantastic trip to the ‘Land of Smiles’. My highlights of the trip were my first tambaqui, black shark minnow and a fantastic ripsaw right at the end of my last days fishing. My first match after returning to the UK was at Dillington and I was really looking forward to it but I drew peg 4 again and although I caught all day, my 137 fish for 10lb 14oz was well off the pace behind Alvin Jones with 28lb 10oz, John Dursley with 20lb 12oz and Fieldy with 19lb. We had a knock up on the lower end of the Isle and it fished quite well with lots of small fish and odd good chub featuring in catches, I ended up with 54 fish for 4lb 4oz and nowhere once again. Steve P had the best weight with 8lb 8oz which included a good chub. The last match of the month saw my bad run continue at Dillington, I drew peg 22 which hasn’t been great and struggled, I couldn’t really catch on the deck or shallow and my 6lb 6oz was way off the pace. Graham Field won again, this time he had 447 fish (including a bream) for a fantastic 31lb. 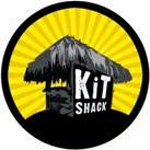 Highlights – Thailand of course! Lowlights – The rest of the month! We were back at Harrys for the first match of the month and after a poor run of results I was hoping for better things today, especially as the last junior match was won with over 100lb in just three hours. The level of the pond was well down although I still thought it would fish okay but it was a real struggle and I ended up with 15lb for nowhere and Scott Russell won with 29lb 7oz. Dillington was the scene of my next disaster when I drew peg 24 again, I kept trying to catch chub and didn’t get one, my 10lb 10oz was well off the pace with 21lb 8oz winning and 18lb 15oz needed to win my section! The bad run continued at Summerhayes when I drew peg 7 on Longs, a great carp peg! I had 6lb 11oz of silvers and a few carp for nowhere once again. In the last match of the month I managed to avoid peg 24 at Dillington when I drew peg 5 and I’ve caught all day but no quality and my 156 fish went 10lb 2oz for nowhere. Adie Bishop won with a nice bag of skimmers weighing 21lb 11oz on the feeder. Lowlights – All of August! Back at Summerhayes for the Rover and I managed to pull out first choice! Was my bad run about to come to an end? No was the answer, I caught small skimmers quite well and had three nice crucians but I just couldn’t catch any decent skimmers until the last hour or so. I ended up with 10lb 5oz of silvers to just miss out as 11lb 1oz was last in the money. Bill Hopping set a new match record with 242lb 15oz of carp on paste from peg 2 on Sellicks. Next up was the final Summer League match and drawing peg 15 wasn’t a great start, I tried fishing for big fish and it didn’t really work, ended up catching some lovely roach close in for 10lb 8oz and nowhere once again. Fieldy won on the day with 27lb 10oz which included two nice bream and he won the league as well. We were back at Dillington for a pairs open, I was on peg 2 with Hurf on 22, I’ve caught some cracking roach on caster and with five minutes to go I’ve landed a nice bonus chub around the 3lb mark. I weighed 17lb 11oz which was third in my section, Hurf had four points and we sneaked into third place on weight and picked up £20 each. Andy Downton had the top weight with two big bream and some quality roach for 22lb 7oz, his partner Glen Radford was second with five chub and some nice rudd and roach for 22lb 3oz and they took the title with a perfect two point score. Scott Russell and Ashley Tomkins were second in the pairs and they both had 19lb 15oz of roach. The last match of the month was back at Summerhayes on Longs, I drew a decent silvers peg and got off to a flying start catching about 5lb of skimmers and tench in the first hour before I got carped out, I did sneak second in the silvers with 8lb 8oz for my second pick up in two weeks. 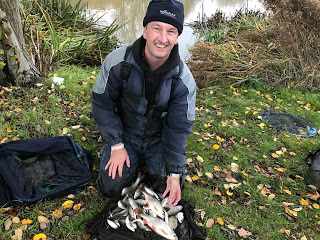 The first match of the month saw the start of the Royal Oak league on the Isle and I got off to a great start when I drew peg 14 which is one of my favourite swims on the river, I had a lovely day catching 114 chublets, dace, gudgeon and roach for 12lb 8oz and my first win for a while. Justin invited me to go up and fish the Wye with him and Fred but it was quite hard going, Fred was the only one to catch with two barbel while me and Justin blanked although we did lose two each. In the first V.E.S. Precision match, I drew peg 128 and had a nice day catching 135 fish (including a skimmer!) for 7lb 10oz to get the league off to a good start. Steve P won on the day and had a lovely days fishing with 15lb from peg 120. Round two of the Oak league put me on 129 at Isle Brewers and to be honest I didn’t fancy it but I had a fantastic days fishing catching 117 fish for 11lb 7oz and second place, I had some lovely roach and couldn’t get the rig in the water fast enough near the end. Adie Bishop had the top weight with 13lb 4oz from 126 and Hurf was third with 10lb 12oz of chub from North Bradon. The temperature dropped for the second V.E.S. match and with the river very low and clear, it was always going to be hard going for some and a good draw was essential, I pulled out peg 14 again which I was happy with but really struggled for 4lb 14oz although it was enough for third place on the day. Baz Morgan had a lovely days fishing to win with 16lb 3oz from peg 120. The last match of the month saw us head to Harry’s pond for a charity match, I drew peg 6 on the far side and caught well for the first two hours but then it was a real struggle, ended up with 24 carp for 34lb 10oz and a section win. Harry had the best weight on the day with 61lb 10oz to record his first win with the club. Lowlights – Blanking on the Wye again! Cold and wintery conditions combined with a low and clear river were always going to make for a difficult match and although I was really pleased when I drew peg H4, I was blanking after four hours. I did manage a nice perch and some small roach for 1lb 2oz and last in the section. Karl Aplin did well to catch four big chub for 13lb 12oz from peg 108 which also saw him take home the golden peg fund. Round three of the Royal Oak league saw me get my wish and draw peg 120 for the first time in ages and I’ve had a bite a chuck all day from dace, chublets, roach, gudgeon and two big ruffe! to finish up with 148 fish for 12lb 6oz which was only good enough for third behind Steve Parker with seven big chub for 18lb 7oz and Adie Bishop with a net of quality roach weighing 15lb 1oz. The next match was switched to Dillington after the river was flooded out, I drew peg 6 on the far side and had bites all day including some cracking roach in the last hour to finish with 130 fish for 10lb 5oz which was enough for third place behind Adie with 11lb 2oz and Fieldy with 12lb 7oz. Round four of the Royal Oak league saw me draw peg 29 and although it looked nice and I fancied it, a single minnow wasn’t the result I’d hoped for, Justin won with 13lb 3oz followed by Steve P with 11lb and Paul H with 10lb 8oz. The hardest frost of the year preceded this years Xmas Fayre and a good draw would be even more essential than normal, thankfully I got one in the shape of peg 14 again. I caught odd fish all day to finish with 65 fish for 6lb 12oz which was enough to sneak into third place and I collected a nice prize of cheese, biscuits and beer plus £20 from the super pool and we all enjoyed a lovely hot meal back at the Royal Oak. Justin won again, this time with five big chub for 18lb and Hurf was second with a nice net of roach weighing 8lb from Hambridge. Round five of the Royal Oak put me on 125 at Isle Brewers and despite being very shallow, I really fancied it and with around 4lb in the net after an hour I thought a big weight was on the cards. Then the sun came out and bites stopped, I caught odd fish for the rest of the match to finish with 7lb 10oz and a section win. Baz Morgan won the match with a brilliant 21lb 2oz of roach followed by Justin with 16lb 6oz of chub and roach from Redbridge and Rob Cox with 15lb 3oz of roach from Hambridge. The last river match of the year saw me hang back at the draw trying to avoid 120 as it’s been poor the last few matches but of course it was the last peg in the bucket, I started okay but it soon faded and I weighed 3lb 7oz for nowhere which hasn’t done my league chances any favours at all. 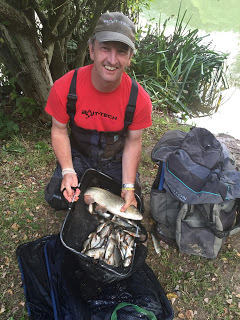 Steve P won from last weeks winning peg with 12lb 6oz of mainly roach and he took home to the golden peg money as well. The last match of the year was a knock up at Dillington and well attended with 17 anglers, I finally managed a draw on the nearside, it took an hour to get a bite and then I caught small roach all day along with a bonus skimmer to weigh 7lb 5oz for second on the day and a nice pick up of £60 behind Scott Russell who had two big bream and some bits for 10lb 10oz. For the first six months of 2016 I had a great run of results and was on target for my best year ever. Along with wins at Dillngton and Harry’s I also had some nice silvers pick ups at Summerhayes including only my third golden peg victory ever. Then I went to Thailand for the second time and had an amazing trip but on my return I never picked up a bean anywhere for two months! 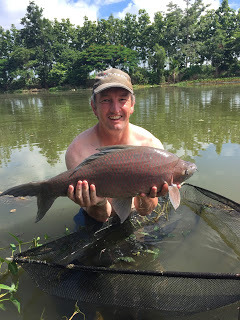 During the two trips to Thailand I fished two new venues (EFT and Teak Tree) and caught loads of fish including twelve new species and numerous pbs. I wasn’t as successful on home soil where I only managed one trip to the Wye with Justin and Fred and I blanked again! I did lose two fish though. The fishing at Dillington continues to get better and better with brilliant weights of quality silver fish coming to a variety of methods and the Isle has been fishing really well despite being really low and clear for most matches, loads of small fish are showing along with some big chub in the lower sections. I still really enjoy Summerhayes although I missed fishing the Perry St league and seeing the Chard boys this year. I might try and fish a few matches at the Sedges next year and I keep meaning to fish some opens on the Tone as well. Blog traffic has gone through the roof and after reaching 318,000 page visits after ten years, I’ve now passed 453,000 (that’s around 135,000 hits in 12 months! ), I still get some great feedback both online and on the bank and I really appreciate it. 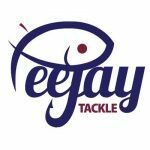 The blog is now supported by Bait-Tech and my match reports now regularly feature on their website and again I must thank Hayley for all her help and advice. So as I say goodbye to 2016, I’m looking forward to next year where, hopefully, I’ll get back over to Thailand and there’s still talk of the sturgeon trip to Canada. I also want to try and fish some new venues and I really want to spend more time fishing for those pesky mullet along with some tench and pike trips and I still want to catch a flounder really badly, so much to do and not enough time!